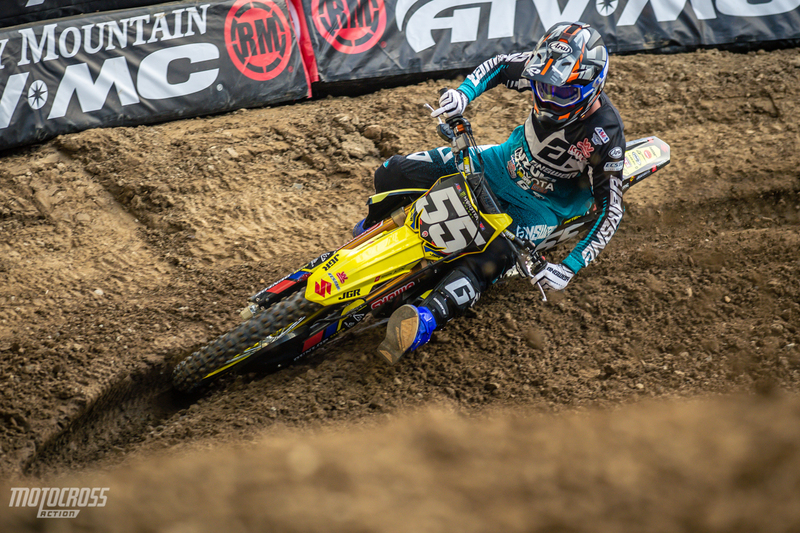 Christian Craig was supposed to race the 250 West Coast series, but he was injured before it started. 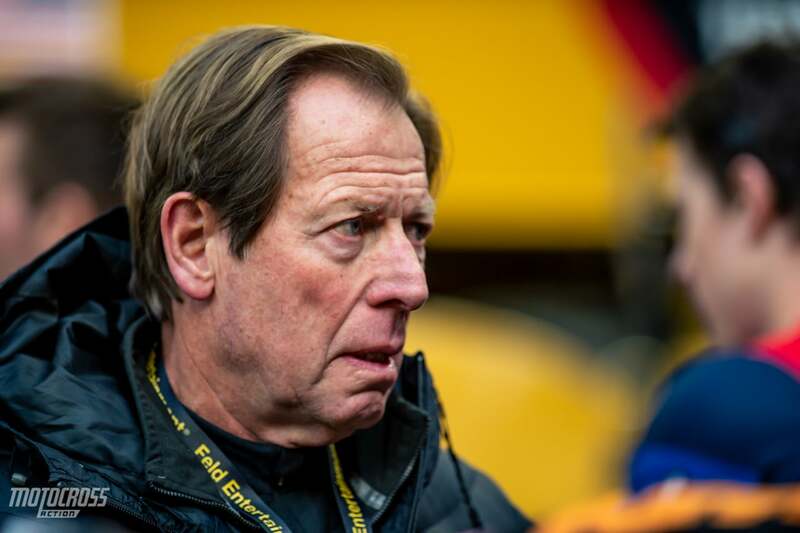 Craig is now healthy and ready to race 250 East. 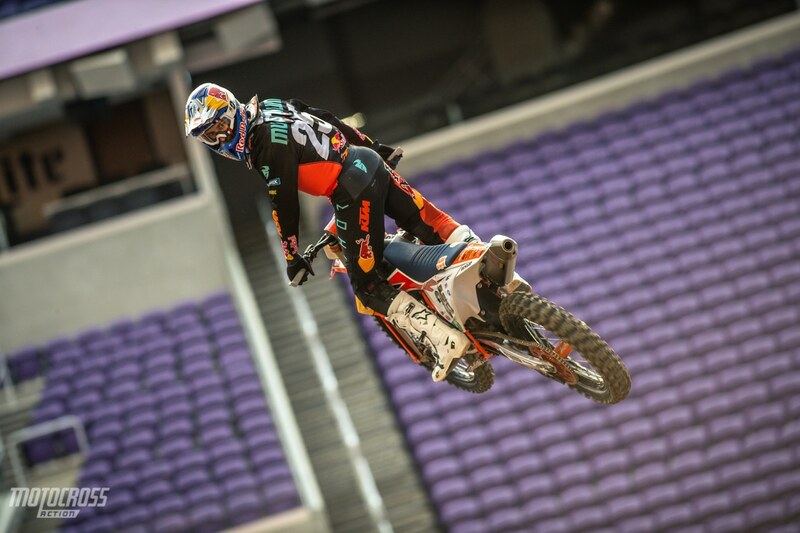 He rode press day in Minneapolis. 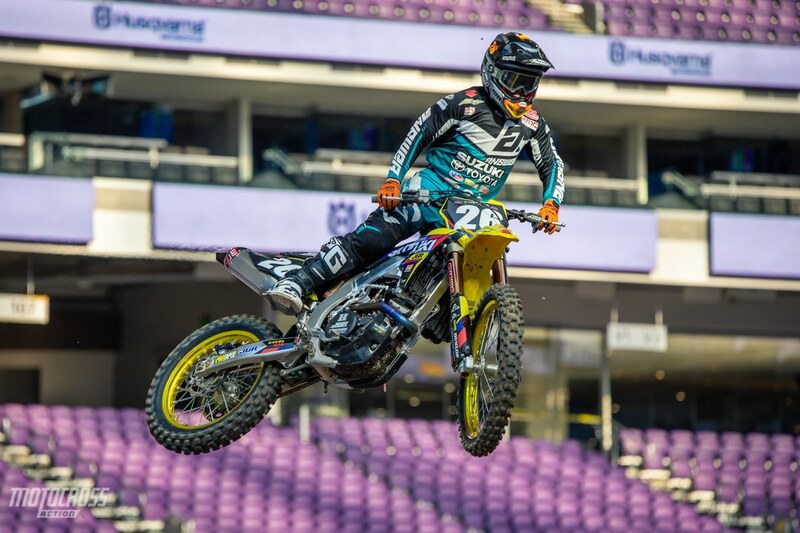 We are getting geared up for the sixth round of the 2019 Monster Energy Supercross series in Minneapolis, Minnesota. The race is held inside U.S. Bank Stadium where the Minnesota Vikings play. This is the same stadium that the Philadelphia Eagles played the New England Patriots last year in the Super Bowl–but who cares. We are excited heading east as we finally get covered stadiums equaling good track conditions. Although the temperature outside today in Minneapolis was zero or below for press day. 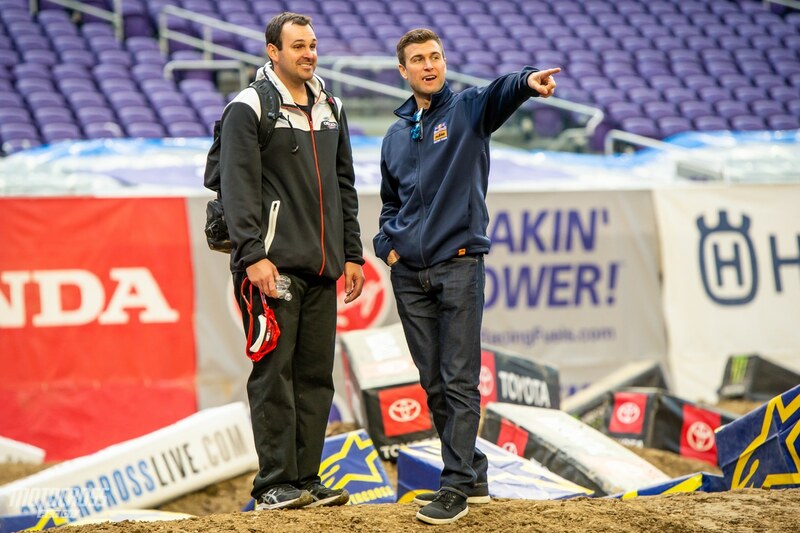 We had our photog Brian Converse cover what was going on and who was getting some seat time on the track. This race will also be the first 250 East Coast round. The 250 East class is stacked with many top riders. Below is a link to the entry list to this weekends riders. . 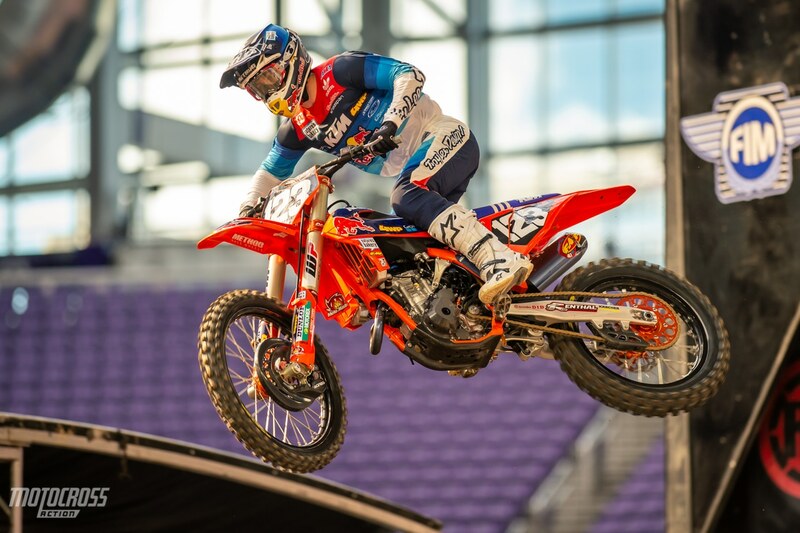 If you are looking for overall point standings of the 450 class heading into this weekend check out the link below. 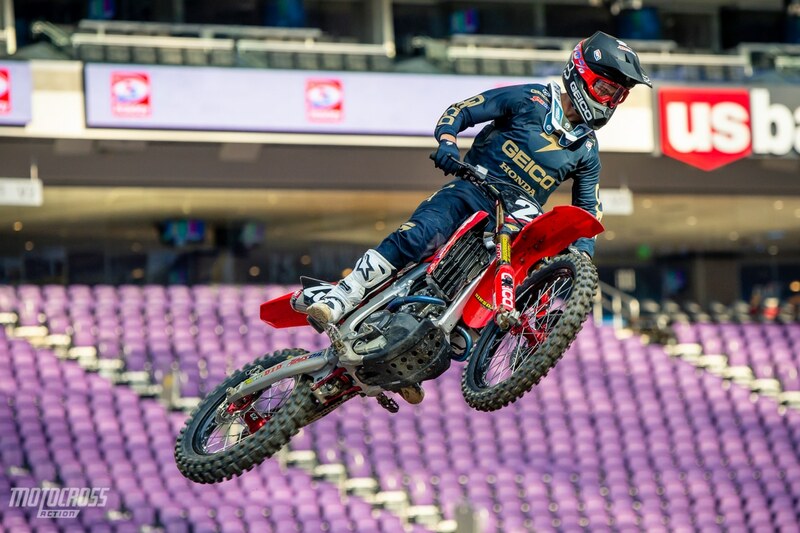 Chase Sexton was also set to ride the 250 West series before he got injured. Cameron McAdoo took his place in the west and Sexton got healthy and prepared for the east series. 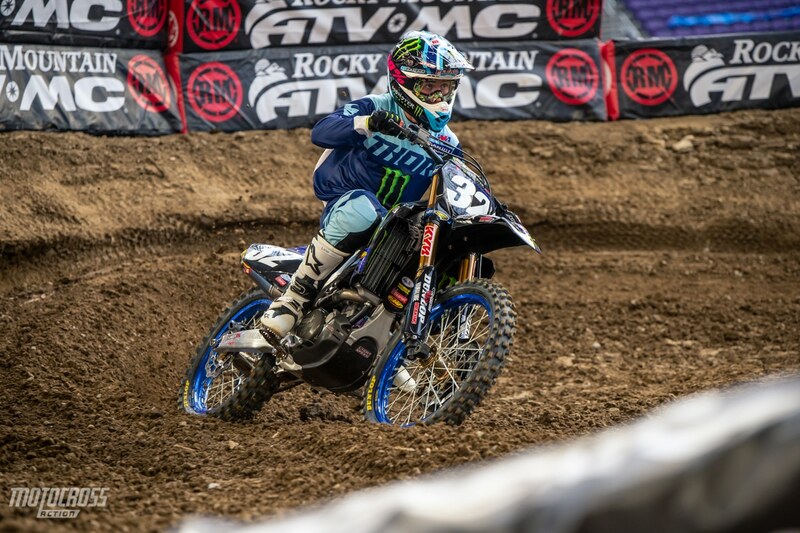 Justin Cooper made a splash in Outdoors last year and is looking for podiums and wins in 2019. 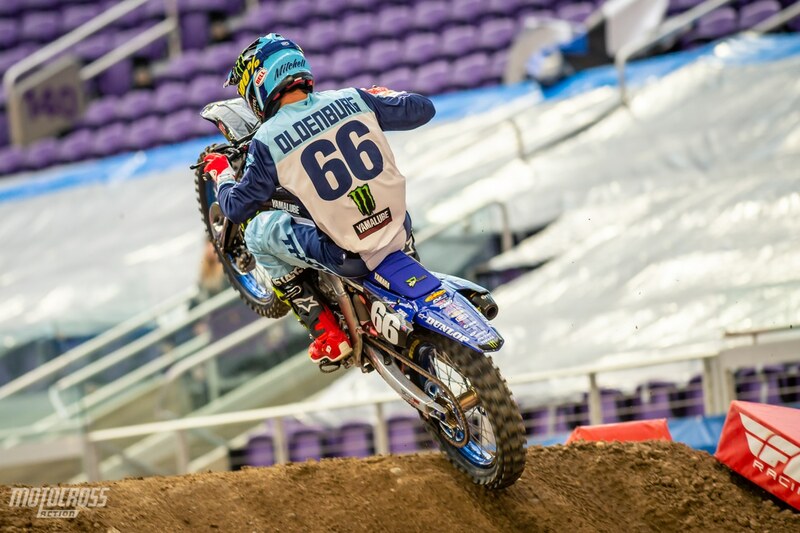 Michell Oldenburg will join his teammate Justin Cooper under the Star Racing factory Yamaha rig. 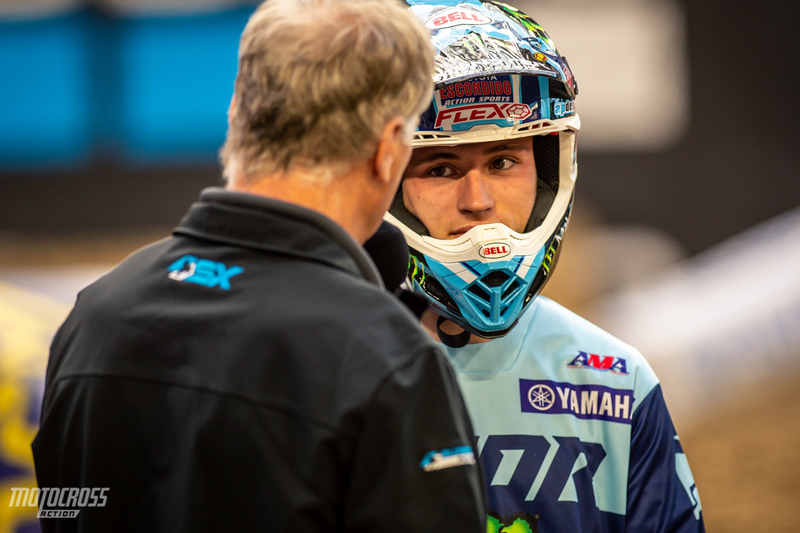 Alex Martin is starting his 2019 season fresh with a new bike and new gear. 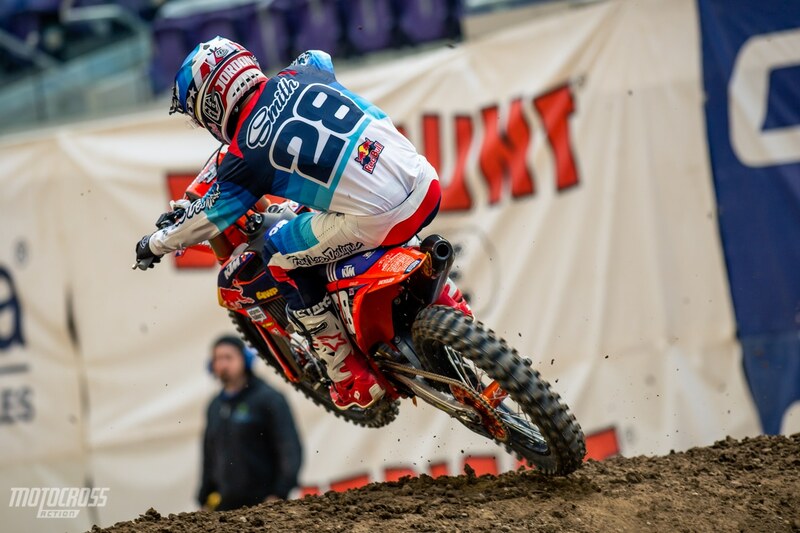 He is a veteran in the 250 East series and looking to be a threat for the championship. 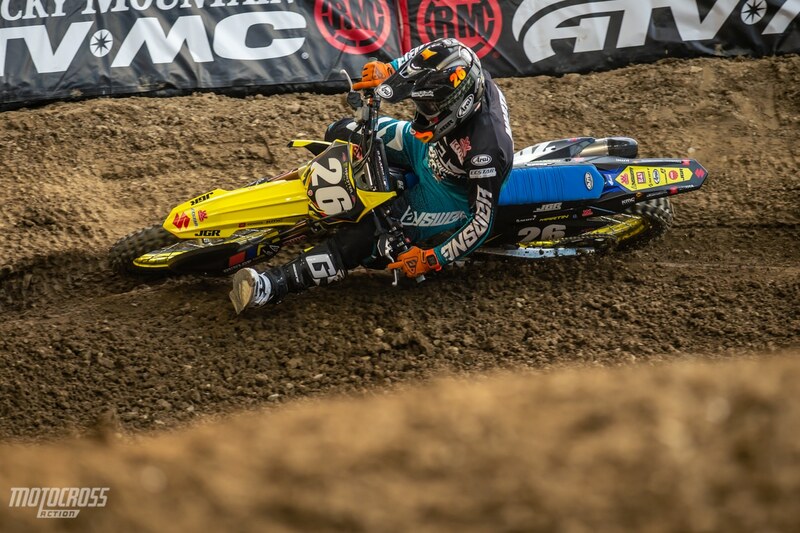 Jordon Smith has the speed to win, he just needs to find consistency to compete for the 250 East Coast Championship. 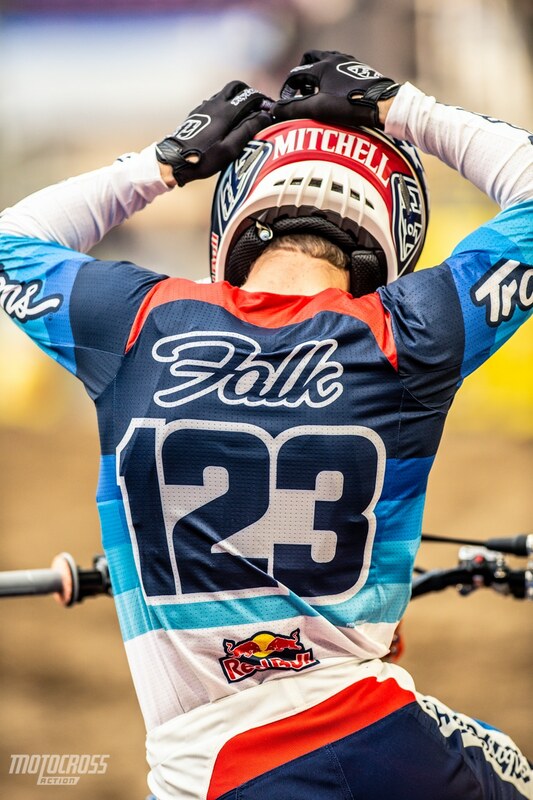 This will be Mitchell Falk’s rookie year racing Supercross. 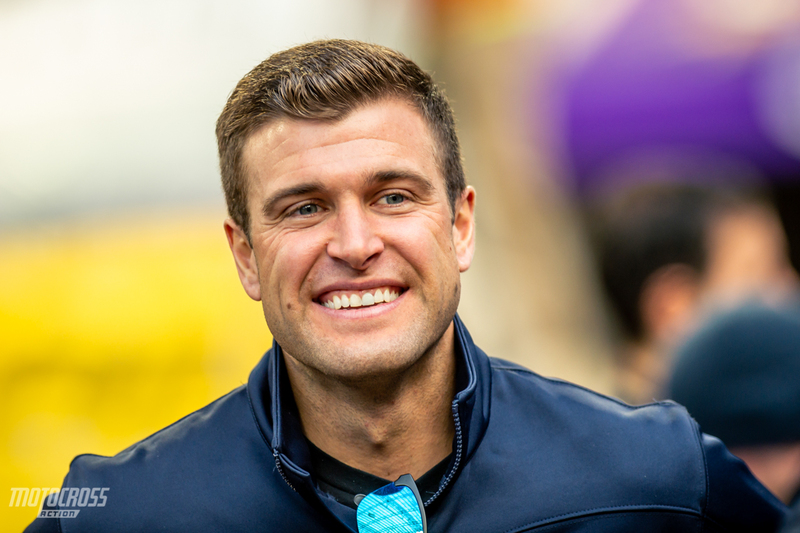 Multi-time champ, Ryan Dungey showed his face in Minneapolis to support the KTM crew as it is his home town race. 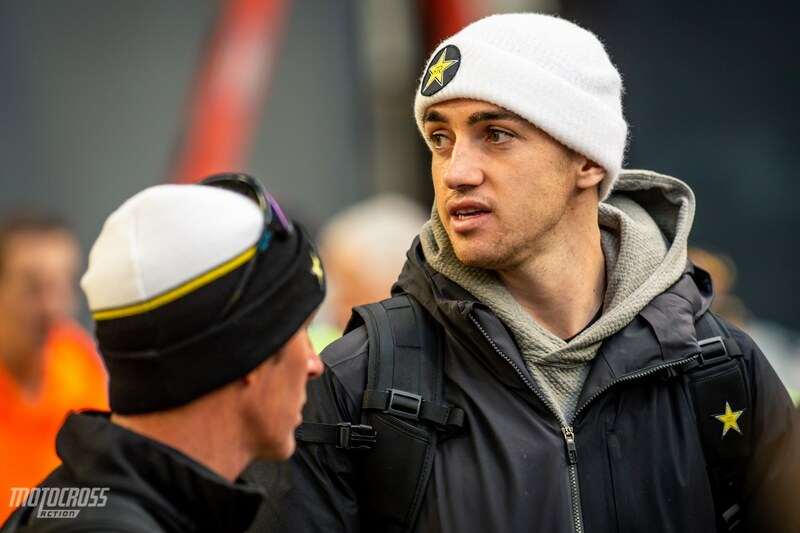 Dean Wilson is now under the factory Husqvarna rig for the rest of the 2019 Supercross season. 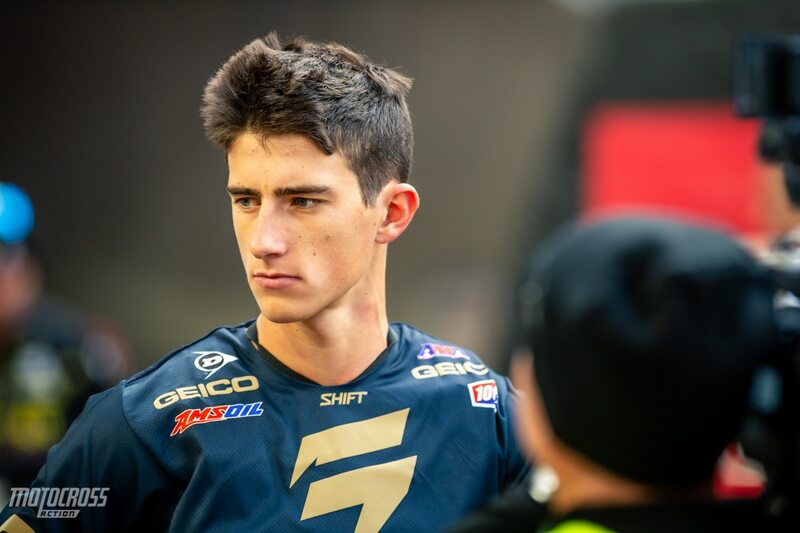 Kyle Peters is a full-time rider for the JGR factory Suzuki team for 250 East. 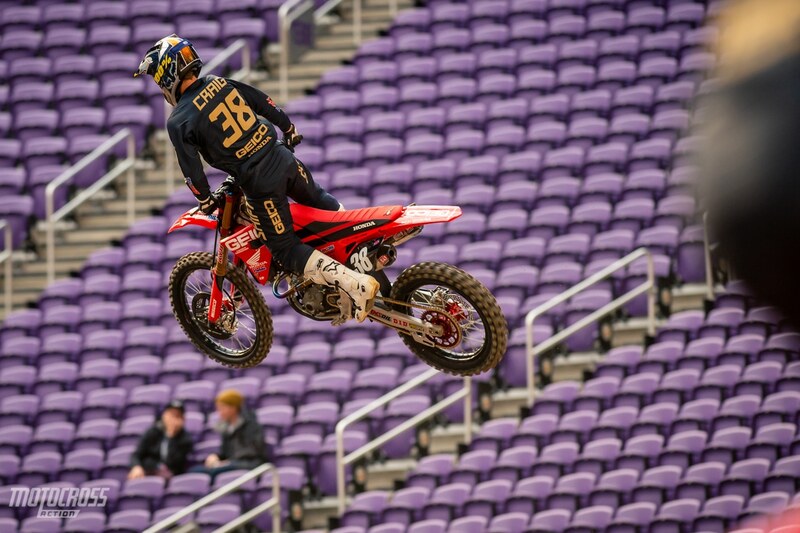 Marvin Musquin is in striking distance of the red plate. 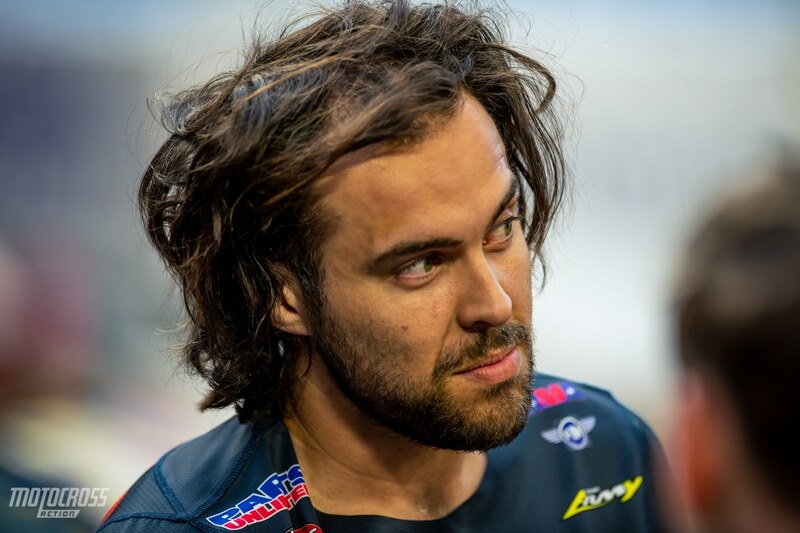 He is only four points behind Eli Tomac. Mitchell Falk on his TLD KTM 250SXF. Justin Cooper chatting with Jim Holley. 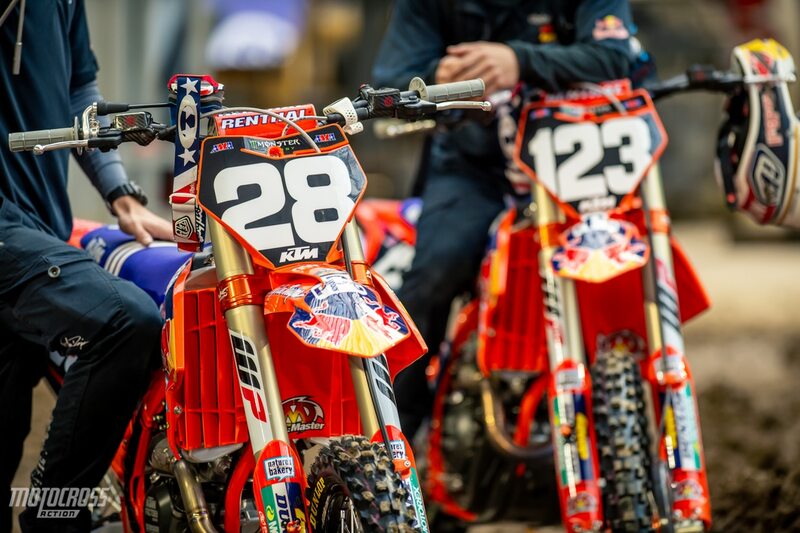 Both of TLD’s team bikes. Adam Enticknap in the flesh. 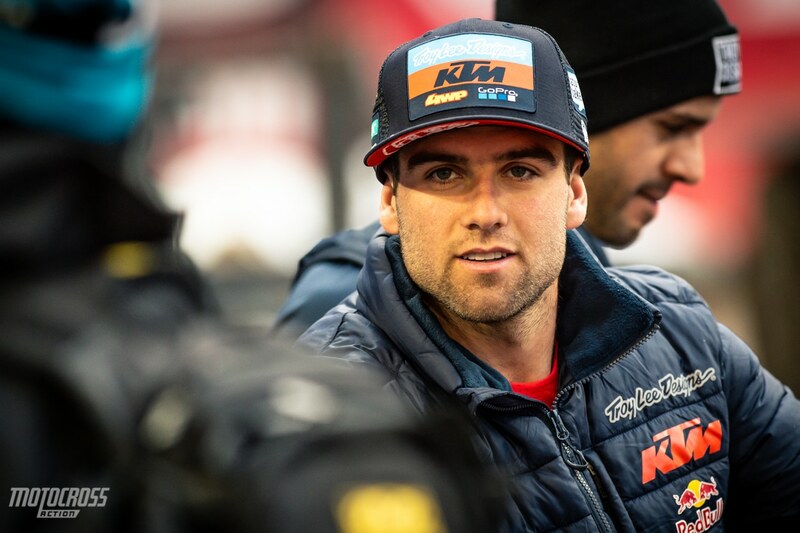 Chase Sexton’s mechanic Jade Dungey with his brother Ryan Dungey.